Was it Gargantua who tossed the Rolling Disc here? Or the glacier that abandoned it? Or a monster of the lake who spat it out? 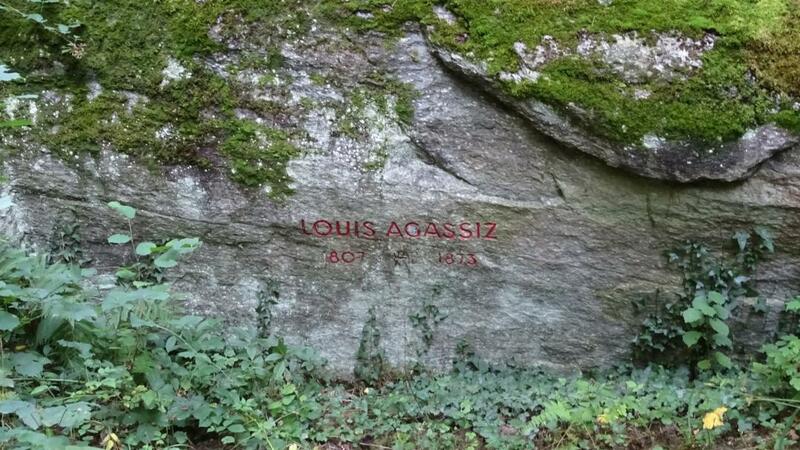 To confuse matters even further, it is also known as the Agassiz Stone. Having fallen asleep on Mont Vully, Gargantua's snack was stolen by the devil. When the giant realised what had happened, he threw stones towards Vully. One of them closed off the devil's cave. On full moon nights, this stone rolls aside, allowing you to enter. Those who allow themselves to enter must ensure that they leave by midnight. Science has its own explanation: it is a glacial boulder that made its journey from Furka to this spot on the back of the Rhône glacier. The Rolling Disc is also known as the Agassiz Stone in tribute to Jean-Louis Agassiz, who was born at the Môtier vicarage in 1807. This famous palaeontologist proved the existence of glaciations.